contributes to Redlands’ unique sense of place. One Craftsman home owner calls it “simple elegance.” Home owner Donn Grenda said the Craftsman architectural design emphasized simple lines and elegant features such as oak cornices, wood beams, pocket doors and impressive fireplaces. Exterior features included revealed roof structures, stone work, and shingled siding. 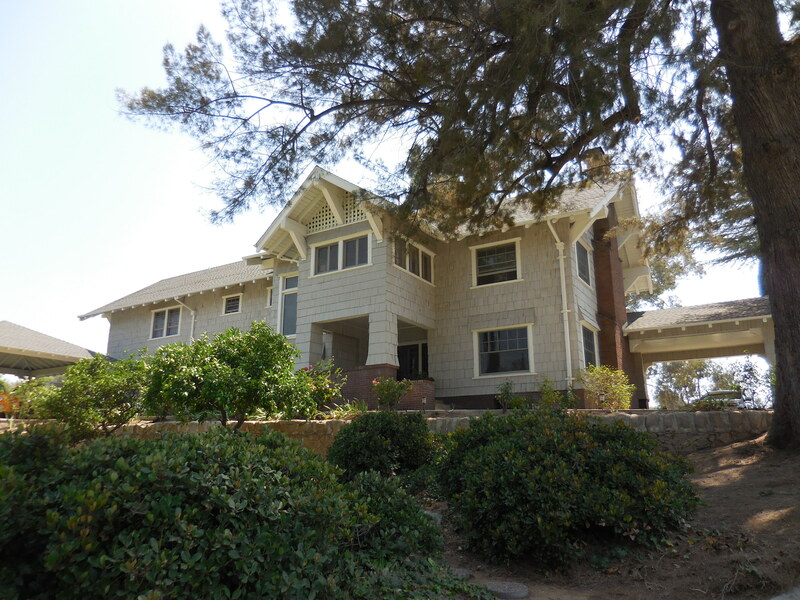 A simple drive through residential neighborhoods around town provides ample evidence that the Craftsman style worked very well in Redlands. The Conservancy plans to assemble a driving tour of Redlands streets, pointing out the abundant Craftsman structures. Over two weeks, six events, sponsored by Redlands Conservancy and Redlands Area Historical Society, focused attention on the benefits of historic preservation in our town. THE OPENING EVENT, THE FORTNIGHT RECEPTION on May 8, celebrated another piece of Redlands’ heritage, the Historical Glass Museum at 1157 North Orange Street. Located in the Jerome Seymour House, the museum is the home of the largest collection of American glass in the United States. 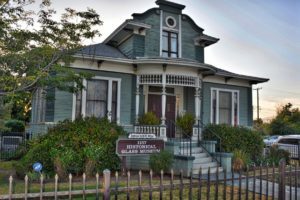 Redlands Conservancy recognized the museum as the 2017 recipient of the organization’s Adaptive Reuse Award, given each year to the owner of a structure which has been successfully reused in such a way that it contributes to the character of the town. At the reception, the Conservancy also recognized 3 new inductees into Club 125, the listing of structures 125 years and older. 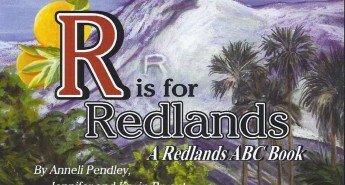 This year’s inductees were built in 1892, four years after Redlands’ incorporation. CALIFORNIA STATE HISTORIC RESOURCES COMMISSION MEETING on Wednesday, May 10 in Pasadena – At that meeting, Conservancy vice-president Donn Grenda heard the nomination of his 1912 Craftsman home, the Dunn House, to the National Register of Historic Resources. THE CONSERVANCY OFFERED ANOTHER 5K WALK THROUGH FASCINATING REDLANDS STREETS on Saturday, May 13. This year’s event, which was accompanied by a take-along booklet with turn-by-turn directions and tidbits of information about the sites along the route, started near Augie’s Coffee House at 113 N Fifth Street, and took walkers through the historic neighborhoods of North Redlands. You can learn more about the tour, and access the booklet to take the tour on your own, by clicking here. RECEPTION & DISCUSSION AT THE CRAFTSMAN HOME OF DONN AND JANET GRENDA on May 18 – Donn and Janet Grenda opened their quintessential – and soon-to-be-listed – Craftsman home on Garden Street for a reception and a discussion of the archaeological discoveries uncovered by archaeologist Grenda after the family moved in a few years ago. 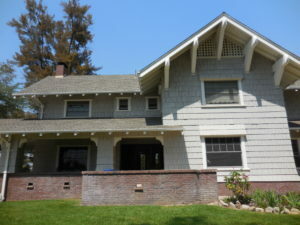 TOUR OF CRAFTSMAN HOME NEIGHBORHOODS, LED BY TOM ATCHLEY – Closing the Fortnight activities was a walk around Craftsman neighborhoods, organized by RAHS and led by Redlands historian Tom Atchley. 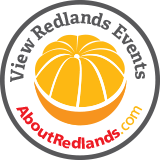 The Redlands Historic Preservation Fortnight has become an important series of events in Redlands, focusing on the forever value of the structures and sites that contribute to the character of Redlands.